Your Kitchen – More often than not, the heart of your home. Where you congregate to collectively enjoy your family and friends. To relax, entertain, appreciate and unwind. OK – maybe this is also where most of the chaos occurs! Bottom line – Each of us have our own preferences in regard to style layout, space and colors. Here are 7 very different kitchens. Use these as inspiration for your kitchen design or to aid your personal discovery in what you want in your kitchen. 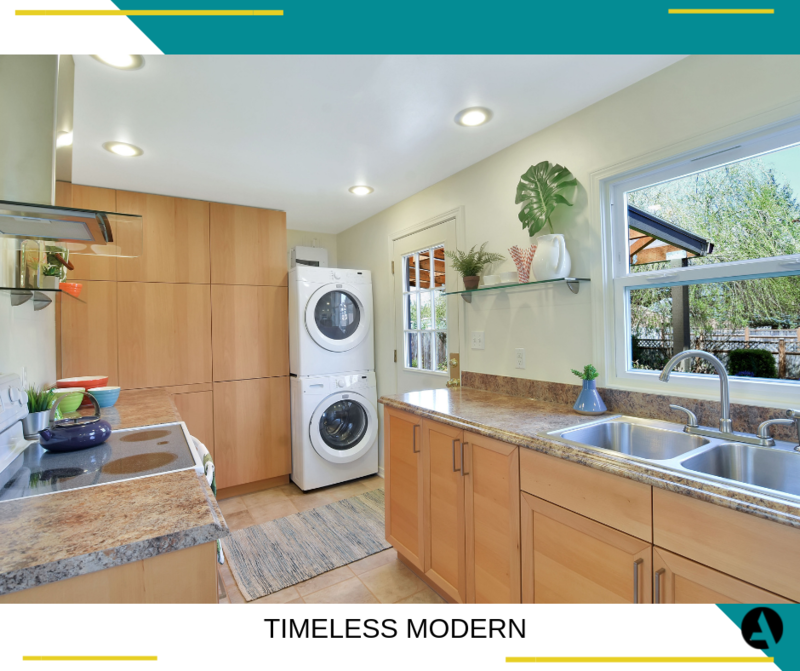 6316 E L Street Tacoma, WA 98404 Although the home itself is only 1,088 square feet, the galley style kitchen was remodeled with enough space for your essential appliances + dishwasher! 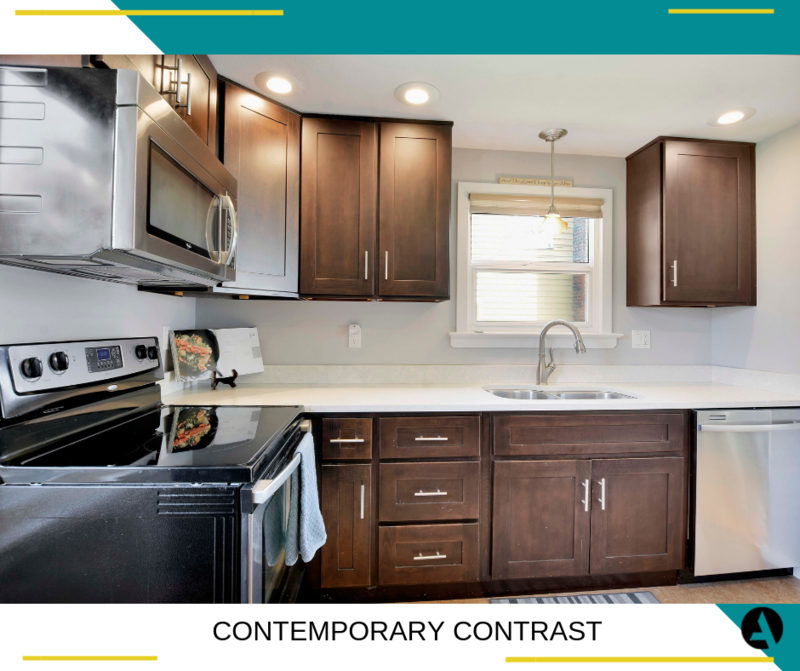 Notice the kitchen has very light colors and a darker – but neutral – multicolor, granite countertop. The brown tones in the granite pair perfectly with the laminate floors and provide a smooth transition to the original oak floors in the living/dining and bedrooms on the main floor. PRO TIP #1: Careful with using too much yellow or too light of a yellow. This can be hard to photograph and make a room looked washed out. 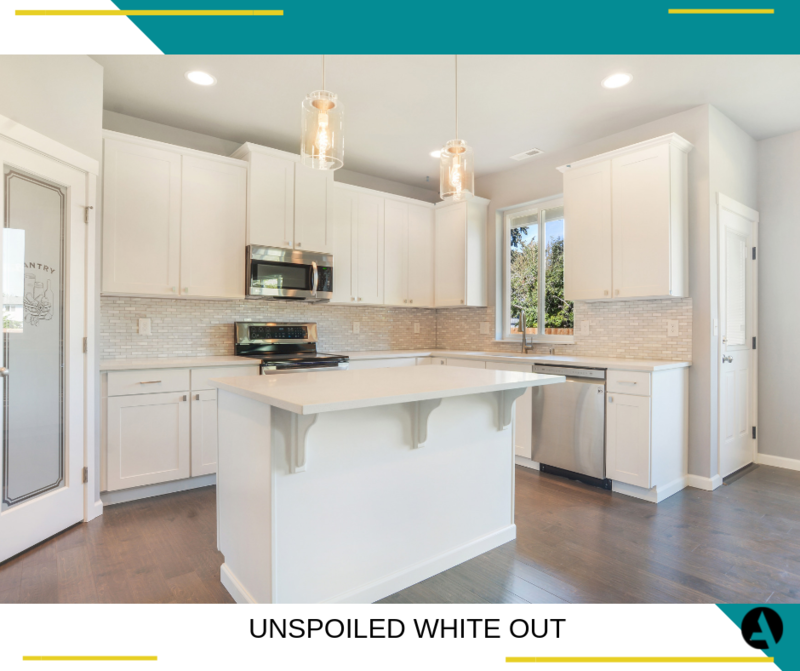 1313 85th St Ct E Tacoma, WA 98445 – Can you ever have too much white? Notice the walls are a very light blue/gray and kitchen backsplash is a muddled tile that pulls in both the cabinet and wall color. What I love most about the kitchen is how the bright white, draws your eye to the stainless steel appliances and large windows. 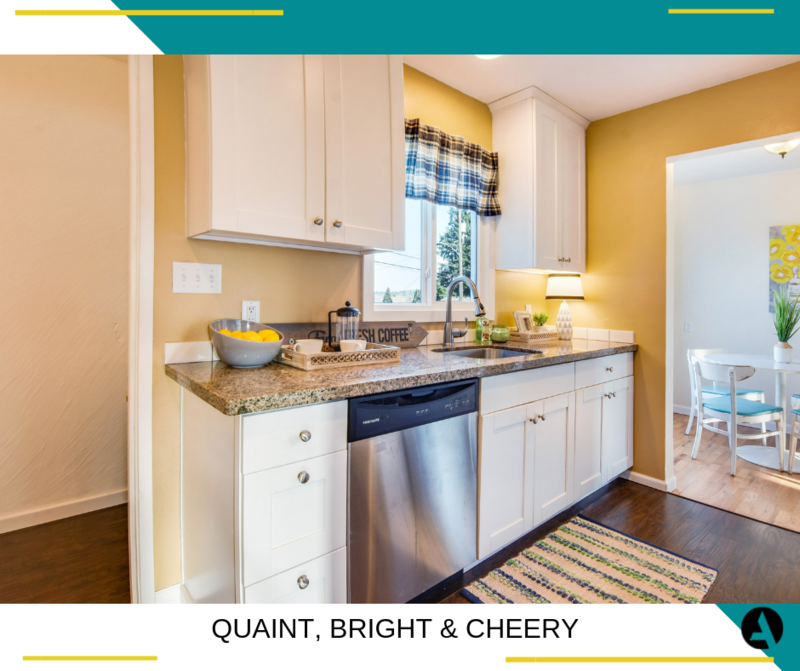 Natural light and new appliances are two features that the majority of buyers are looking to have. PRO TIP #2: Light fixtures are relatively inexpensive and can dramatically change the look and datedness of a home. For industrial style glass (shown here) use Edison Style light bulbs and for regular lighting use LED or softer lights. local Home Depot stores have displays to show the different looks of each. 4820 S C Street Tacoma, WA 98408 Like the saying goes “They don’t make ’em like they used to!” There is something about older homes that we fall in love with. Restoring old homes (keeping true to the era) is something that is considered by many professional, harder to do than simply remodeling an older home. 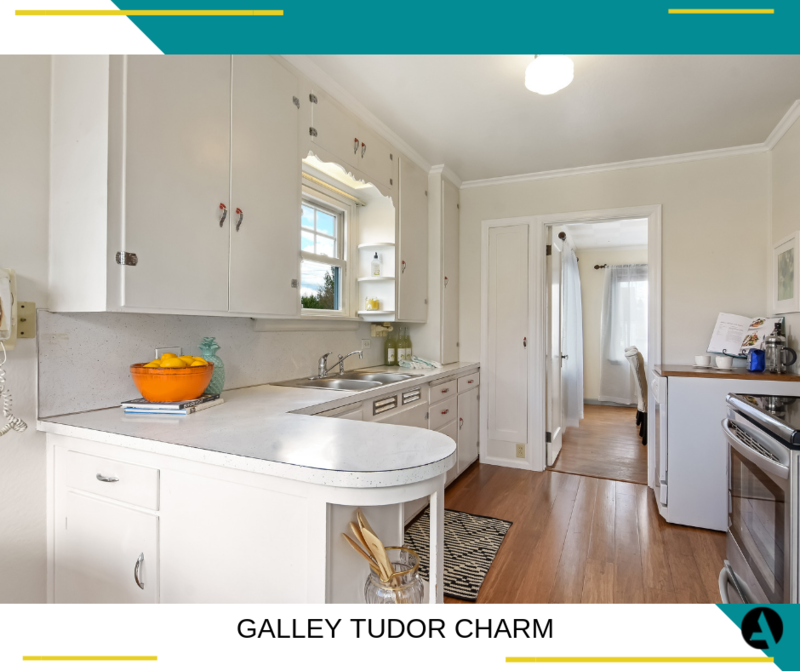 This 1939 Tudor home has the original cabinets w/ newer bamboo floors. A portable dishwasher was installed for convenience and allowed the original makeup and design to be undisturbed. PRO TIP#3 : If you are looking to preserve your antique kitchen cabinets, consider going with a new laminate or Corian countertop. These two require less maintenance and have a flat finish. Granite and Quartz don’t scream “older home” to me. 😊 But they have there place. 4509 N 19th Street Tacoma, WA 98406 – Located in the Proctor District, this 850 square foot cottage was fully renovated by owners who prioritized cleanliness & practicality. No upgrade was performed without a purpose. In fact, the furnace and ducts were removed to create more space for storage and in its place they installed a high efficiency pellet stove. Not something you see everyday in the PNW! Lightly patterned, wood kitchen cabinets yields simple variation and the hood hood vent (glass) makes it feel as though it is non existent – Genius! PRO TIP #4: Are you remodeling a home with intentions of selling or for your personal enjoyment? If you’re staying in your home, be clear on what YOU LOVE! Who cares what the neighbor says? Make it about YOU! 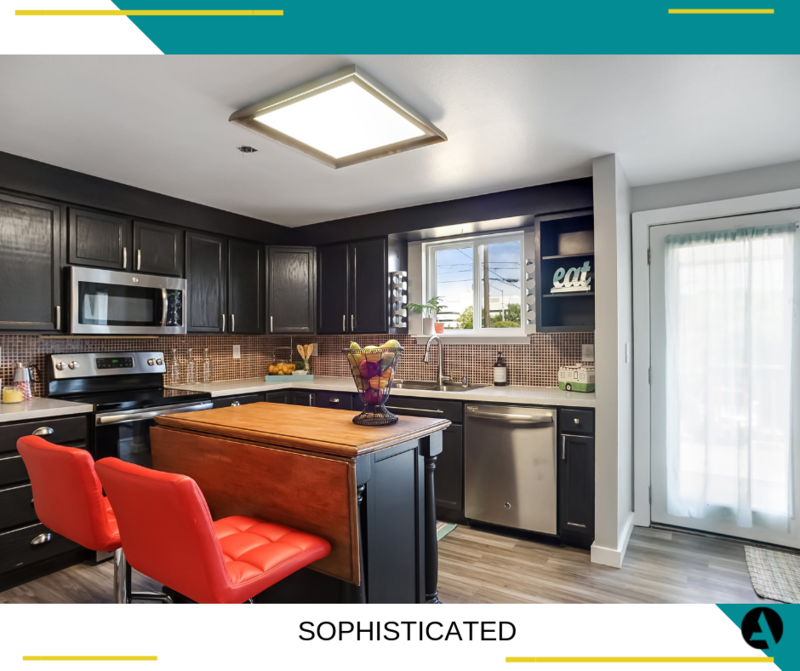 4909 N 18th Street Tacoma, WA 98406 – When you’re starting a family and living in a small space, utilizing every square foot can be essential to maintaining your sanity and happiness! Custom cabinets that fit around corners and create extra countertop space is a game changer. Dark oak cabinets, modern stainless pulls, recessed and decorative pendant lighting unite this kitchen with its small accents. PRO TIP #5: Recessed lighting makes any space feel newer and modernized. There is a variance of recessed lighting, that sits ON the ceiling vs being fully recessed. If you are looking for this similar look, considering using this alternative style of lighting, Newer condominiums are using this style of lighting for ease of install. PRO TIP #6: Stainless Steel countertops go with just about any color selection. They dent and scratch easily, but that is part of why the owners love them so much; The Character. 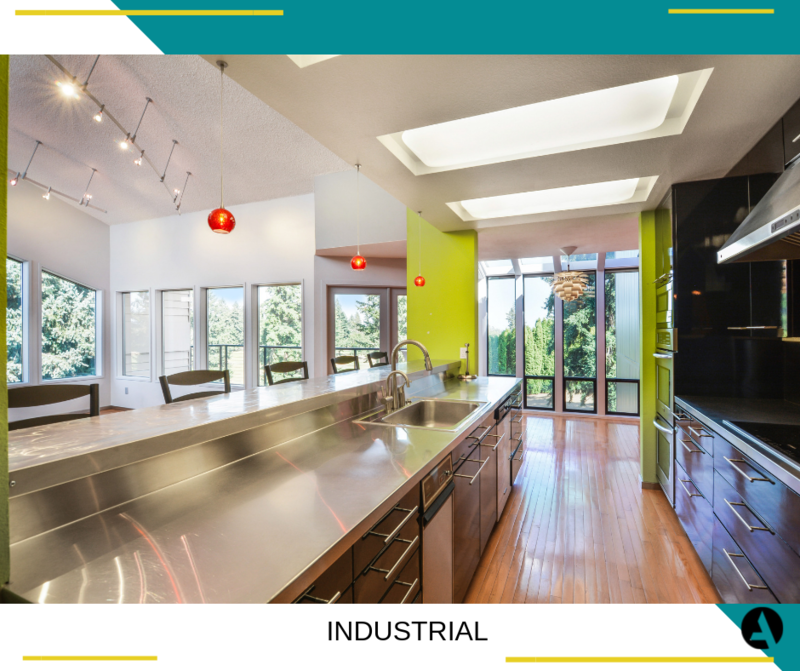 1907 S L Street Tacoma, WA 98405 – Who doesn’t love a good kitchen island? 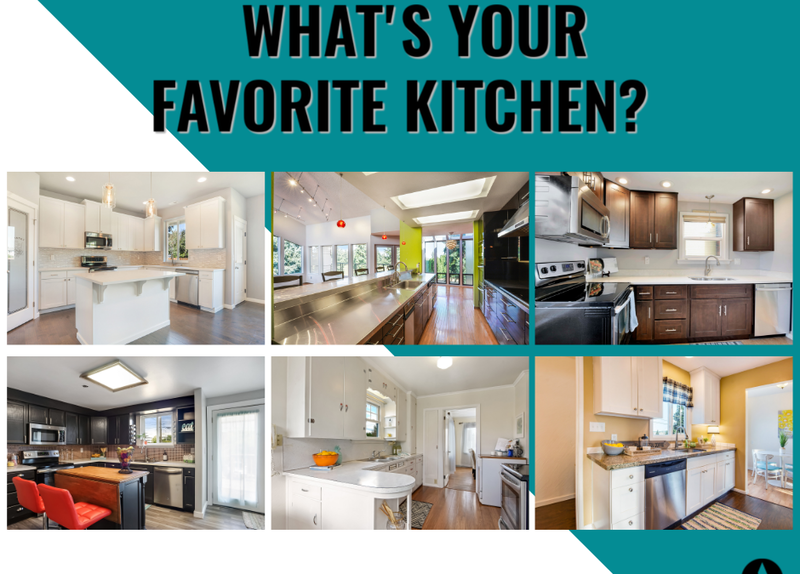 Especially one that has a different countertop; one that varies from the rest of the kitchen. Doing this alteration is something that many high end builders are putting in their homes and you should consider as well! PRO TIP #7: Do you hate how many cutting boards you have? Limited kitchen space is forcing you to choose what kitchen gadgets you have? Getting butcher block counters could be one solution to simplifying your kitchen tools. Chose what type of wood you prefer and you’ll find something that works perfectly with the color scheme of your kitchen. If you are selling your home, consult with your Realtor or someone who is actively involved in current trends and kitchen styles. When designing to resell or make a profit on your Real Estate investment it is NOT about you, it’s about the BUYER.